Today’s message comes from an artform very few consider art. You know those times in life when you tugged and pulled, and whimpered, cried, and reasoned, for things to turn out differently? The times when your heart broke in half, and you learned what courage really meant. Those moments that defined who you are– and what you are made of. Mistakes are not only part of life, but they are also part of the art you are creating. Any artist knows this to be true. You start with this “Grand idea” and somewhere in the process, this idea goes sideways. It takes another turn. Sometimes it becomes something totally different than the original vision. This is where art and life intersect. 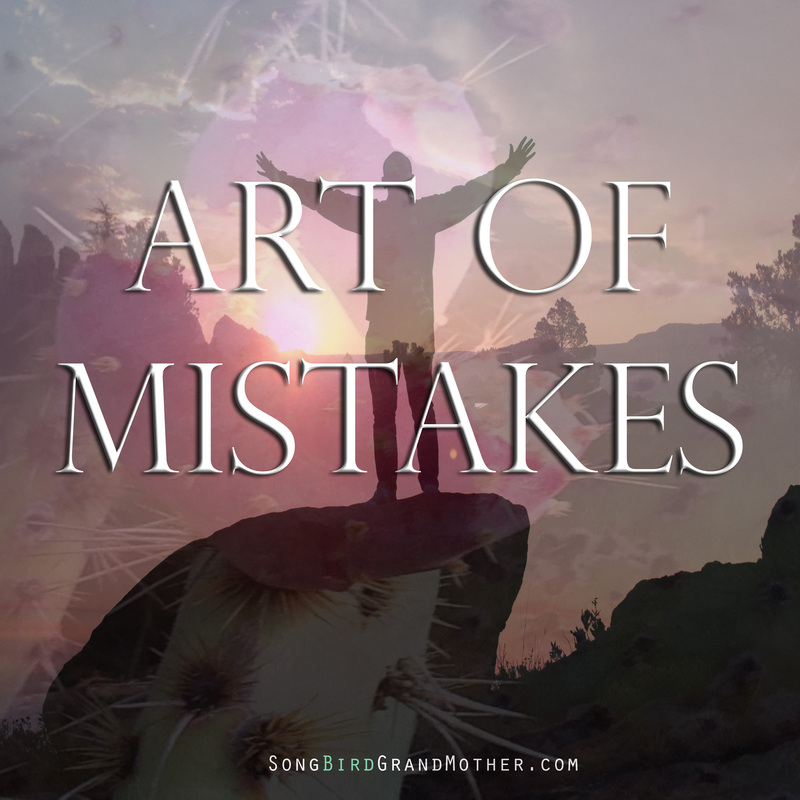 The art isn’t the “mistake(s), but rather what grows and evolves from mistakes. The lessons, challenges, gifts, hidden blessings, and courage that rises up. Mistakes are part of this process of life. Many “Fear” mistakes, and so rather than taking action, they sit on the sidelines. Waiting in the abyss of unhappiness. Those who dare to take risks will encounter mistakes. Some are big, some are small, some are so horrendous they can pull you to your knees. But, all in all, mistakes are part of the process. Nothing is perfect until we perfect our mistakes. Life is a game of holding, folding, walking, and sometimes running away. It’s a gamble being here on this Earth. For in every moment, in every instance, and every decision, there is a voice inside your head, that tries to stop your greatness at every turn. There is a voice of reason and a voice of truth. The mastery is knowing who is who, and merging the two until they align. This is the best time for the merge. Anytime that “perfectionist” within tries to stop you from your dream. Remember without risk there is no result. Without mistakes there is no success. Without love, nothing is possible. Change your “impossible,” to “I’m possible,” and let your higher guidance guide you forward. This is the time where dreams manifest. This is also a time when fear is unbridled and can bring you down. Make a mistake, take the lesson, and move forward with your head high, on the wings of grace. Thank you for your support, please leave a “love donation,” to keep the wisdom flowing.